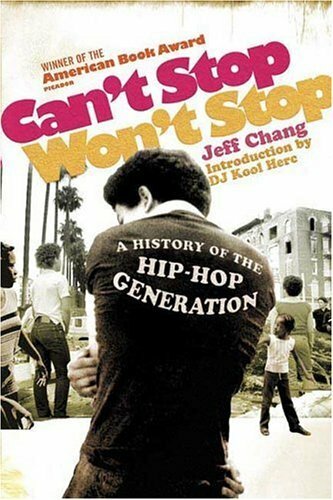 Did you know that a man named Clive Campbell who was born in 1955 in Kingston, Jamaica is The Father of Hip Hop? 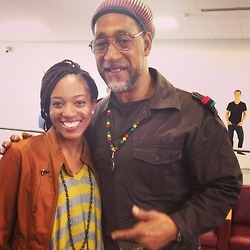 Kool Herc emigrated to the Bronx in 1967 when he was 12 years old. While attending Alfred E. Smith High School he spent a lot of time in the weight room. That fact coupled with his height spurned the other kids to call him Hercules. His first deejay gig was as his sister’s birthday party. It was the start of an industry. 1520 Sedgwick Avenue. The address of Herc’s family and the location of the recreation room where he would throw many of his first parties as the DJ. Herc became aware that although he knew which records would keep the crowd moving, he was more interested in the break section of the song. At this point in a song, the vocals would stop and the beat would just ride for short period. His desire to capture this moment for a longer period of time would be a very important one for hip hop. He would dig in crates and look everywhere to find the perfect break beat for his parties. He didn’t care what type of music, because he only needed a small section of a song for his purposes. His first professional DJ job was at the Twilight Zone in 1973. He wanted to get into another place called the Hevalo, but wasn’t allowed…yet. His fame grew. In addition to his break beats, Herc also became known as the man with the loudest system around. When he decided to hold a party in one of the parks, it was a crazy event. And a loud one. 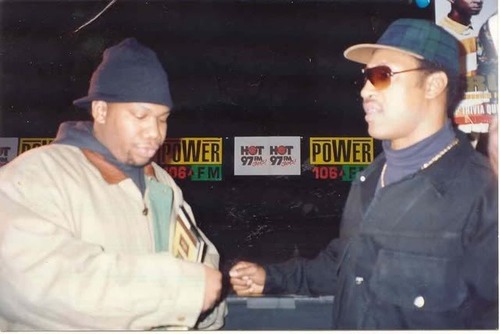 At this time Afrika Bambaataa and other competing DJ’s began trying to take Herc’s crown. 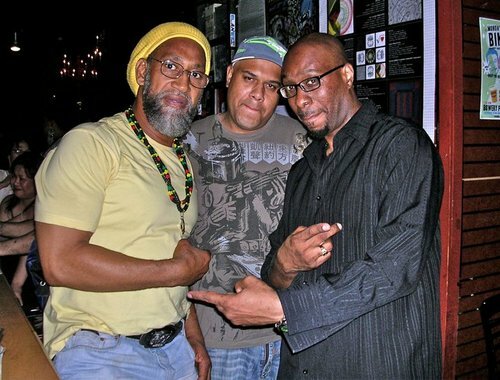 Jazzy Jay of the Zulu Nation recalls one momentous meeting between Herc and Bam. As competing DJ’s looked to cut in on the action, Herc would soak the labels off his records so no one could steal his beats. Flash would go into the Hevalo to check out Herc, but Herc would always embarrass him. He would call Flash out on the mike and then cut out all the highs and lows on the system and just play the midrange. 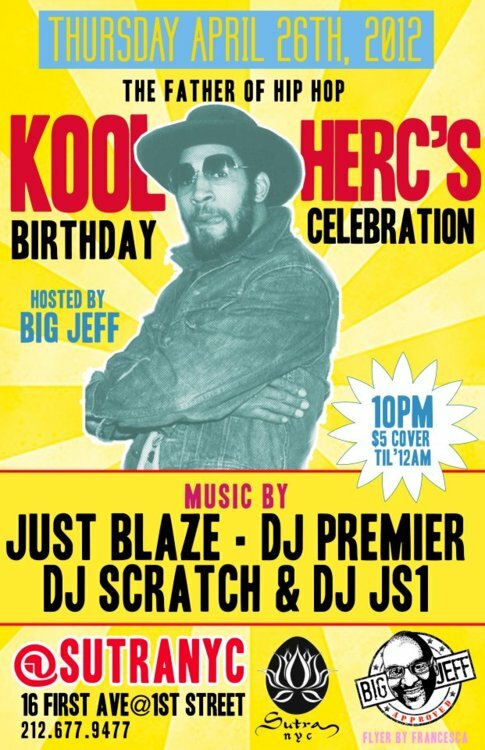 Herc would say, “Flash in order to be a qualified disc jockey…you must have highs.” Then he would crank up the highs and they would sizzle through the crowd. Then he would say, “And most of all, Flash, you must have…bass.” And when Herc’s bass came in the whole place would be shaking. Flash would get so embarrassed he would leave. After a while spinning the records got to be an all intensive thing and Herc wouldn’t have as much time to talk to the crowd and get them going. He needed someone else to help out and act as the Master of Ceremonies for him. 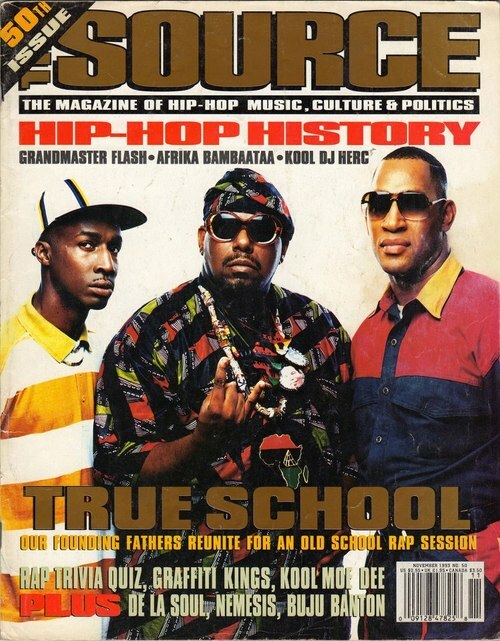 And thus, for all practical purposes, Coke La Rock became the first hip hop MC ever. 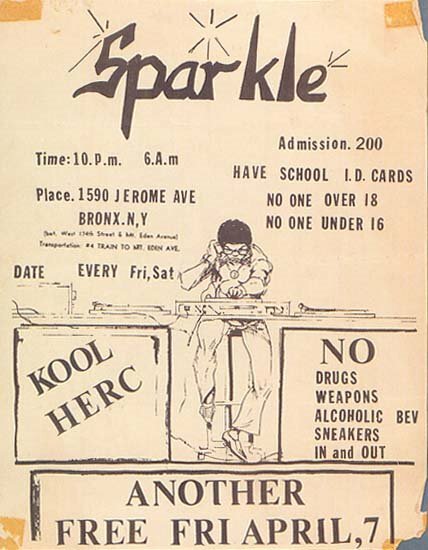 Another club that Herc rocked was the Sparkle located at 174th and Jerome Avenue in the Bronx. 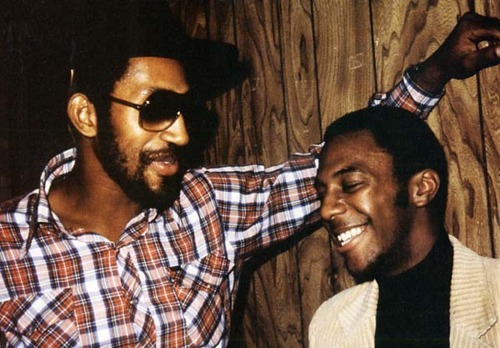 This was the spot that came before the Hilltop, 371 (DJ Hollywood’s spot) and Disco Fever. In 1977, Herc’s career began to fall. 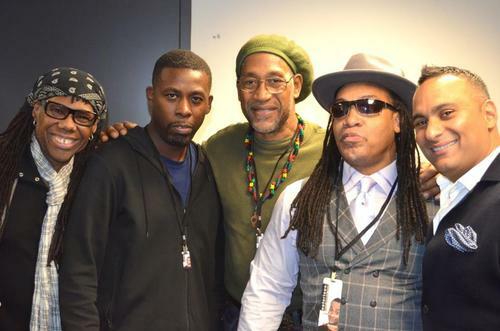 The rise of Grandmaster Flash and Furious Five, and Bambaataa’s various crews with their polished emcee styles put Herc at a disadvantage. One night he was stabbed three times at his own party and his career never fully recovered. 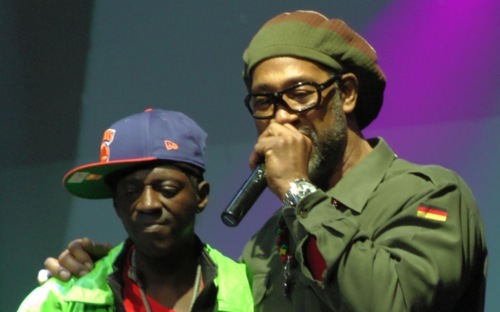 He appeared as himself in the film Beat Street. 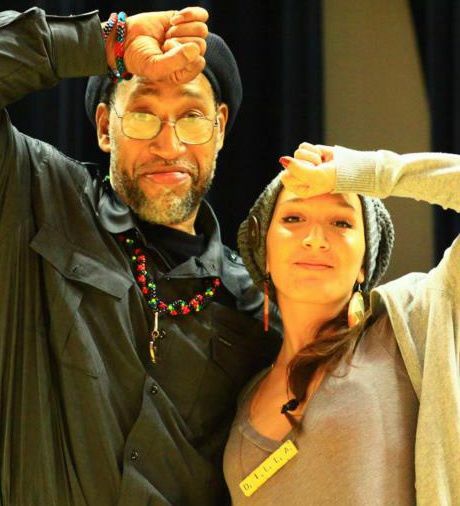 Kool Herc played his last Old School party in 1984. 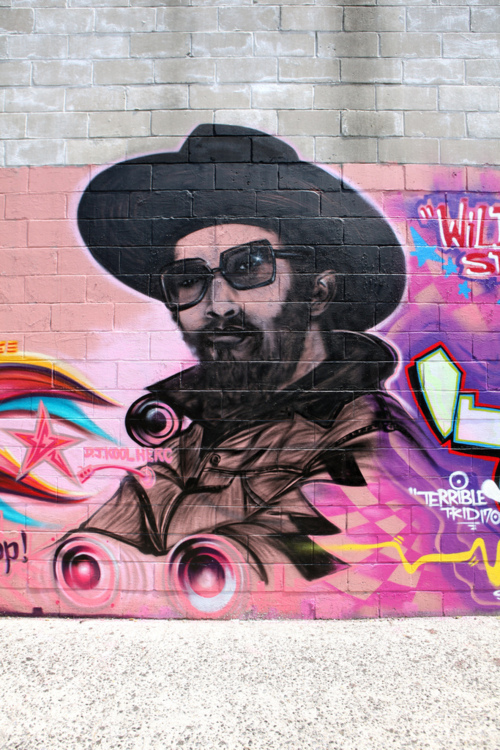 Similar to Bambaataa he does appear in Europe and New York from time to time. 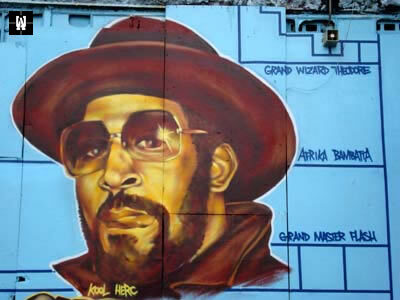 Although he is not part of the hip hop vocabulary of most of those who listen to it these days (unfortunately), Kool Herc is the father of this underground sound from New York that found its way to becoming a worldwide phenomenon.